In today’s A Lab Aloft International Space Station Assistant Program Scientist Kirt Costello, Ph.D., lays out what’s new in rodent research in orbit. The updated facility and planned studies will advance capabilities for microgravity life science and biology research. In this blog we often talk about the “why” reasons for the research that we are doing on the International Space Station, but sometimes it’s also important to talk about “where” NASA gets the ideas. Specifically, where do the concepts and research announcements come from? How does NASA know that the science being selected fits the needs of the country in its quest to get the most beneficial use of the space station’s national laboratory? Today’s discussion is on the new space station Rodent Research Facility and the objectives that NASA is trying to meet by making this system available to both researchers seeking safe exploration of space and those seeking improvements in health here on Earth. Many of these investigations directed specifically at improving life on Earth come through the Center for the Advancement of Science in Space (CASIS) as the manager of the space station’s national laboratory resources. NASA has been conducting rodent research in space for many years. The majority of those investigations focus on clinical questions about how we keep our astronauts healthy in space for longer periods. They also address very basic life science questions about how animal physiology changes in a weightless environment. Prior to and during the time of station assembly, the Space Shuttle Program hosted the Animal Enclosure Module (AEM) studies. 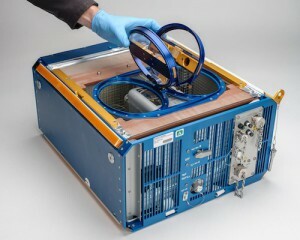 The AEM flew 28 missions conducting research, such as the Commercial Biomedical Testing Module or CBTM investigations. The AEM system was well suited to the Space Transportation System (STS), allowing researchers important access to their rodent subjects both before flight and during post flight recovery. With the end of the shuttle program, it was clear that the use of newly designed transportation vehicles would necessitate redesign efforts for AEM use aboard station. Conducting such investigations not on the vehicle, but aboard the station would enable longer-duration studies. The change from a few weeks to a few months in microgravity increases the potential research returns, but also requires some changes in the design of the hardware. The importance of continuing rodent research aboard the space station is laid out by the National Research Council (NRC) in their 2010 Decadal Study Report, “Recapturing a Future for Space Exploration Life and Physical Sciences Research for a new Era.” In that study’s section on animal and human biology a third of the recommendations specifically called out the use of mouse or animal model organisms as the mechanism to proceed with research on the orbiting laboratory. These recommendations focus on muscle and bone loss, the testing of drugs for osteoporosis, changes to the animal immune system, the effects of aerosol exposures to the lungs and multi-generational and developmental studies. To accomplish the wide array of research that the NRC proposed, some improvements were made to the AEM system to update the workhorse that had served well during the shuttle years. 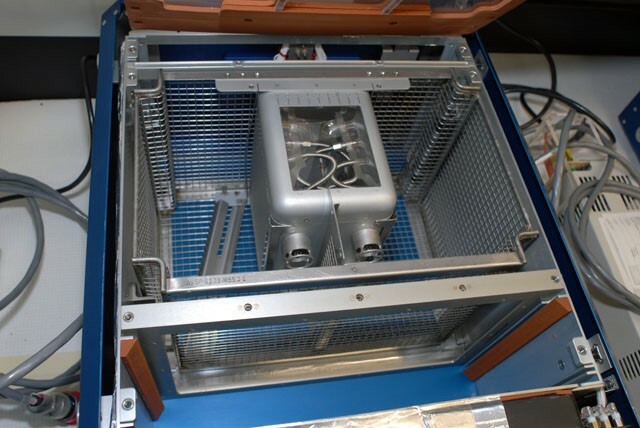 Improvements include features such as upgraded longer lasting filters, changeable food trays and support systems within the microgravity science glovebox (MSG) facility. These changes allow for studies to focus on the effects of microgravity exposure over much longer time frames. While the AEM of the shuttle era only housed rodents for up to 17 days, the new facility on space station can maintain an investigation for months. Part of what makes rodents ideal test subjects is the fact that they reach maturity and age much quicker than humans. The typical rodent lifetime is about 2.5 years versus about 72 years for the comparable human. 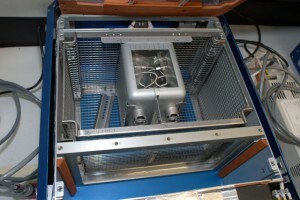 The capability to support rodents for up to 180 day stays is in development for the space station. 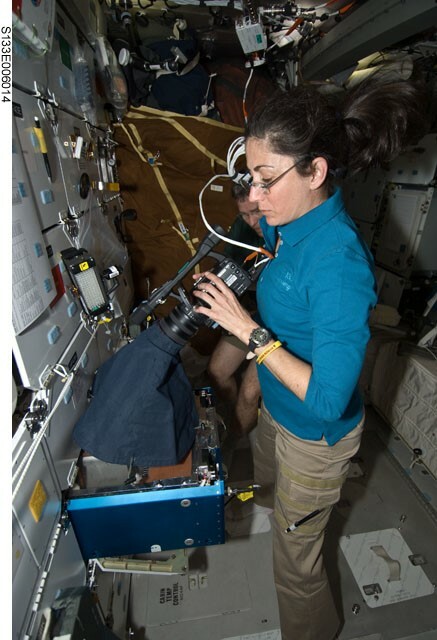 During stays that long, researchers can begin to investigate questions that deal with developmental biology and extended exposure to microgravity. A half a year stay for a rodent might be the equivalent of a 14 year exposure to a human. Updates to the old system also add both white light and infrared cameras for observing rodent conditions and behaviors. This capability allows researchers on the ground to closely monitor their studies. It also requires less crew time, as the observations can be done remotely, which in turn frees up that crew time to get more science done aboard the space station. 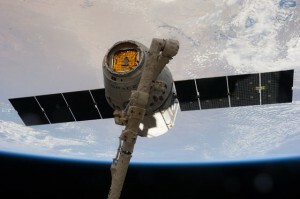 The first flight of the new Rodent Research Facility is on the upcoming SpaceX-4 mission to the space station. During this flight, designers will validate all of the initial performance goals for the rodent research hardware. The facility also will get a head start on some of the NRC decadal recommended goals with the CASIS sponsored portion of the Rodent Research-1 investigation. This study will include 10 of the 20 mice flying in the two habitats, and is in partnership with the commercial pharmaceutical company, Novartis. The test subjects will live aboard the space station for about 21 days. The CASIS mice will include five wild type—or typical—and five transgenic MuRF-1 knockout mice. Researchers will compare results from these two groups and the ground control counterparts to determine whether this genetic knockout impacts muscle atrophy and muscle sparing—where tissue is conserved—in those mice. While the inaugural flight of the new rodent habitat system is right around the bend, the rodent research project team at NASA’s Ames Research Center is already hard at work. They are planning more complex investigations and improving the system to accommodate longer durations and more experimental aims for researchers. Rodent research will become a routine part of space station for the decade to come. For me, personally, it’s been a great experience working with these teams to get this facility ready for flight. I’m excited by all the possibilities for the new research avenues that this opens for NASA and CASIS researchers. I’m humbled by the effort that has gone into this capability, and I hope you all will tune in during the mission to follow along with the accomplishments of the team. Kirt Costello completed a Ph.D. in Space Physics and Astronomy at Rice University in 1998. Kirt is the Assistant International Space Station Program Scientist for National Research. In this position he works with the International Space Station Chief Scientist, NASA research organizations and CASIS to advise on the objectives and priorities of science being prepared to fly to the space station.